Learn how to buy a gift card on the app! 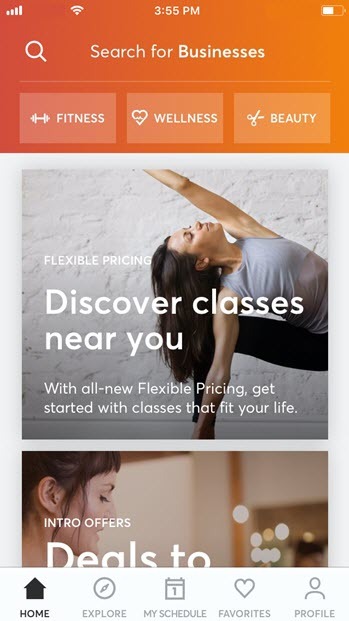 Many businesses featured on the MINDBODY® app offer gift cards for purchase online. If gift cards are available, you'll see it mentioned on the Studio Detail screen. Tap Buy a Gift Card on the Studio Detail screen. Select a gift card you'd like to buy. Select an image for your gift card. Choose the delivery date of the gift card. Choose a gift card value. Not all businesses will allow this. Enter the recipient's name, email address, and an optional message. Tap Next to add the gift card to your cart. Verify your gift card selections and choose a payment card. Tap Buy to complete checkout. Note: Gift cards are currently only available on the app.